Free to use pixel font. 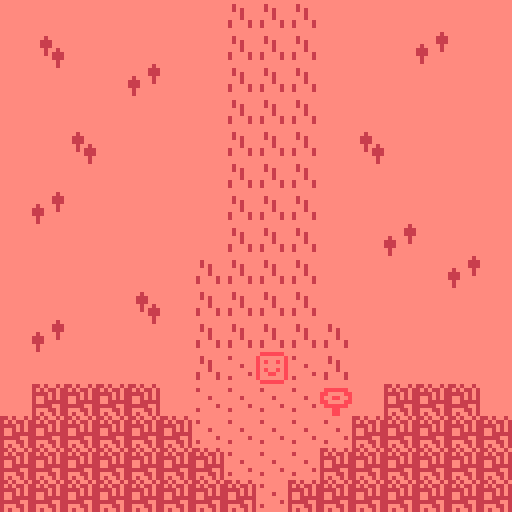 image to bitsy community · Replied to ruin in Suggestion: HD Version for HD Hack. Yay the only other Bitsy! Oh, thank you! That's really nice. Do you plan on releasing this for Mac? Hey, you commented on my Halloween game saying the music was cool and I just wanted to say thanks. I moved the music over here if you wanna check it out. A lot easier than doing it by hand. I actually freakin' dig this. I think these lyrics from this song help define my rage. This game should have gotten more attention, I freakin' love it. You chose fantastic music, lovable, unique color schemes and beautifully simple design. Yeah the game was fantastic, keep making them! You got a gift! Do you have a link for the Bitsy font? Was this inspired from The Giving Tree? I am horrible at designing Wiki pages so I need some help from some people who are good at it. I made a Fandom for the game which can be found HERE. All things relating to the Fandom/Wikia. So friggin cute and cool.